Spring time is here and with it comes planting season. 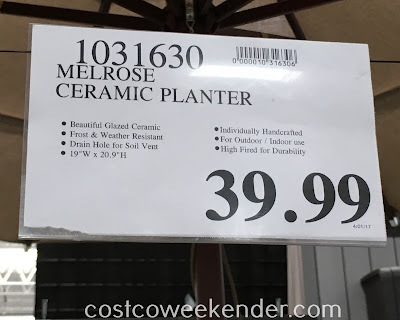 If you're looking for a good vessel to place a plant in, then check out the Melrose Ceramic Planter at Costco. 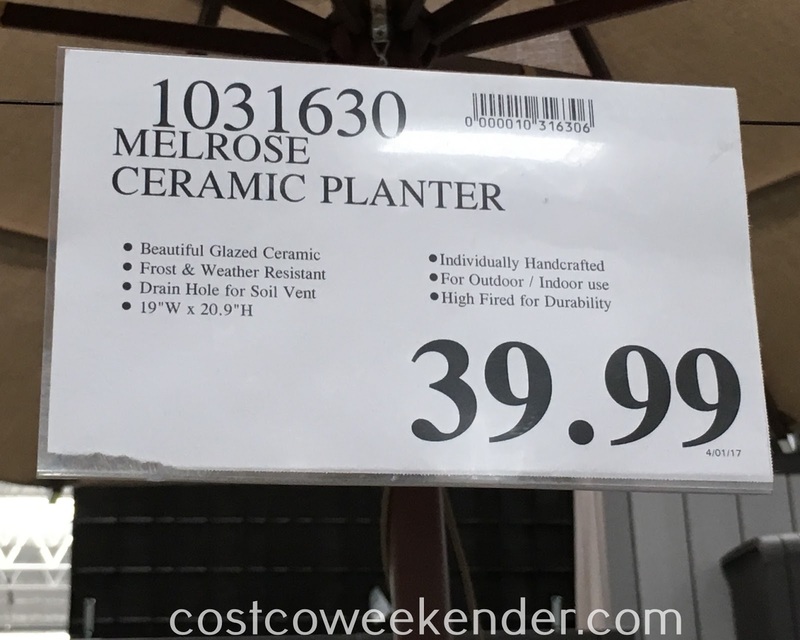 The Melrose Ceramic Planter is big enough to hold larger plants. Not only that, but you can use this planter inside your home or outside in your backyard or patio. You don't even need to put a plant in it. 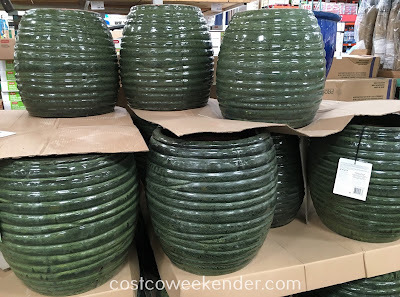 You can just use it as a decorative piece for your home. You'll find that the Melrose Ceramic Planter is a versatile piece to have whether you have a green thumb or not.